Smash Hit Plunder is getting a boxed release through Perp Games on October 5th in Europe! 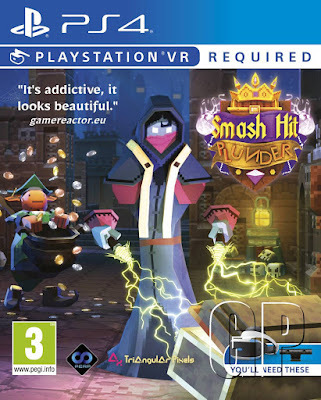 Smash Hit Plunder will also be playable on a PSVR for the very first time at this years’ EGX and Perp Games will be giving away prizes to players with the highest scores at the event! This highly anticipated multiplayer adventure features up to 4 player versus multiplayer for friends and family while sat in the same room. While also a fantastic solo adventure, Smash Hit Plunder is also the first co-op Narrative Campaign Adventure game for PSVR. Smash Hit Plunder will be available for PlayStation VR at retail in EU Territories on October 5th 2018!